Learn why converting your CAD files to BIM can hurt your bottom line. We often hear the question: "Isn't BIM just CAD for buildings?" The way a building is designed and constructed is vastly different from how products are designed and manufactured. This difference places unique requirements on how BIM models behave when they are inserted into the virtual building model. 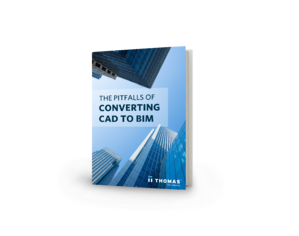 This white paper, The Pitfalls of Converting CAD to BIM, shows manufacturers why they should avoid converting CAD files. All of these drawbacks translate to missed opportunities for specification, which hurts your business. Fill out the form at the right to get a free copy.